Circular Helix is a curve such that the angle of any tangent vector with a fixed line, is constant. Alternatively, Circular Helix is a space curve with constant curvature and constant torsion. Helix with square frenet tube. The edges of the tube are again helices. The inner edge (between red and purple) is determined by the curvature vector of the central helix. 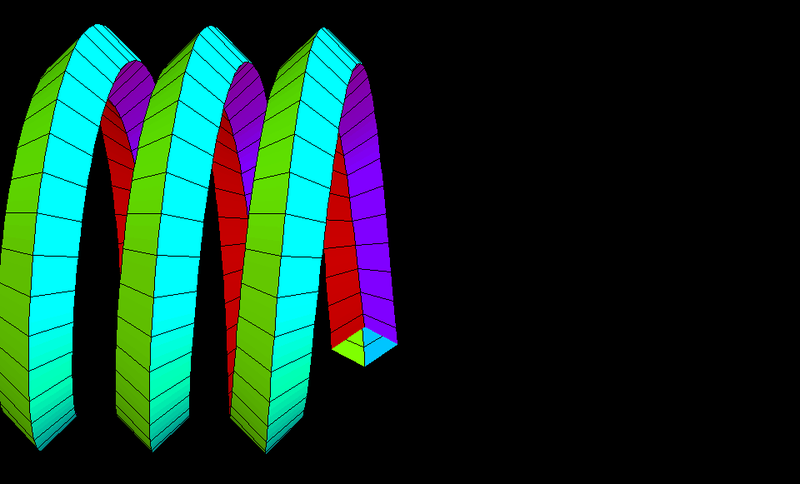 The curvature vector, at each point of the helix, points orthogonally to the axis. Helix as a square elastic tube. 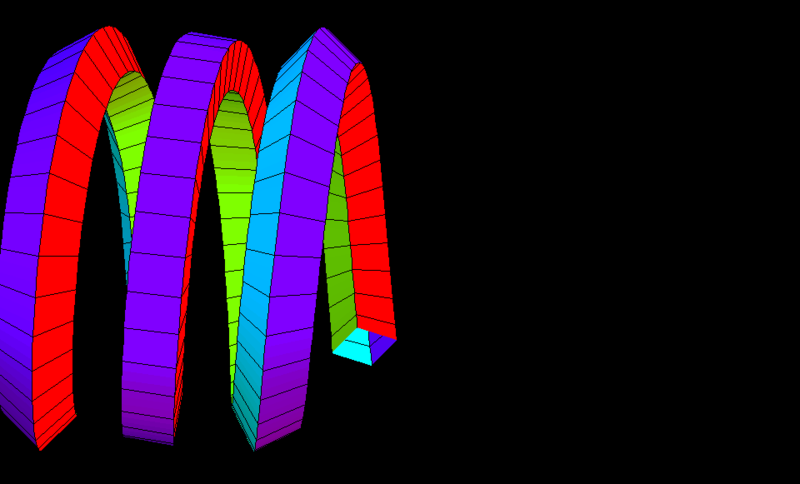 Helix with curvature circle. After the circle the helix is the simplest curve with constant curvature and constant torsion. The curvature vector points from the helix towards the midpoint of the curvature circle and to the axis. 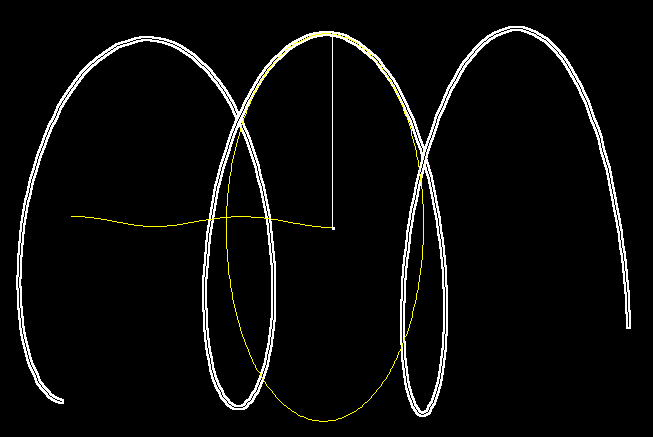 As the curvature circle moves along the helix, the midpoints trace out another helix. The length of the curvature vector equals one over the radius of the curvature circle.